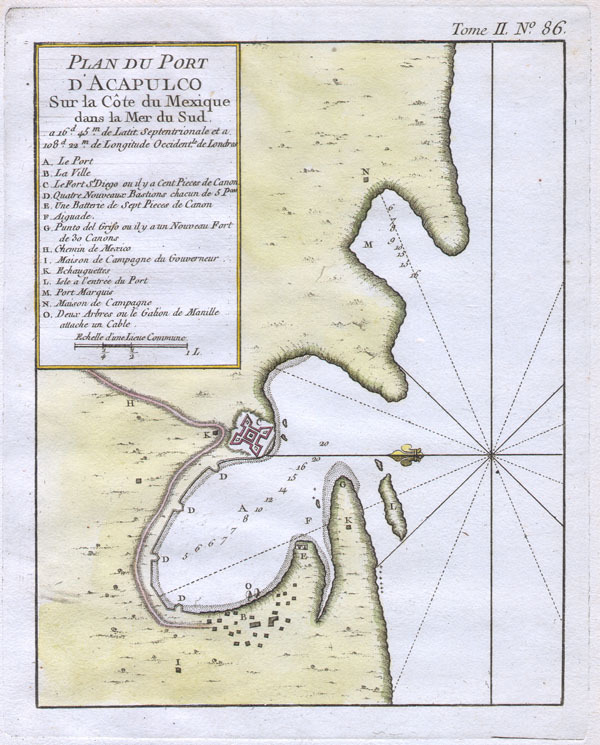 Plan du Port d’Acapulco sur la Cote du Mexique dans la Mer du Sud. This beautiful little map of the city and port of Acapulco, Mexico was produced by the French Cartographer Jacques-Nicolas Bellin in 1760. Includes some buildings, the fort, and depth soundings.